Auditing your PPC account helps you get a reality check of the actual performance of various factors or areas of your AdWords account that contribute to the current results. This will guide you to the areas of your PPC account that need significant improvement to facilitate you get the desired results. Bringing these changes will help you save money on ad expenses and get an increased ROI through better click through rates and increased sales. An AdWords account audit report will help you gain real insights into the performance of your PPC account. Some of the specific areas that you need to take into account when auditing your PPC account are data range, Key performance indicators (KPI), Account settings like the ad group, keywords, ads, quality score, ad extensions, network, remarketing, and analytics. 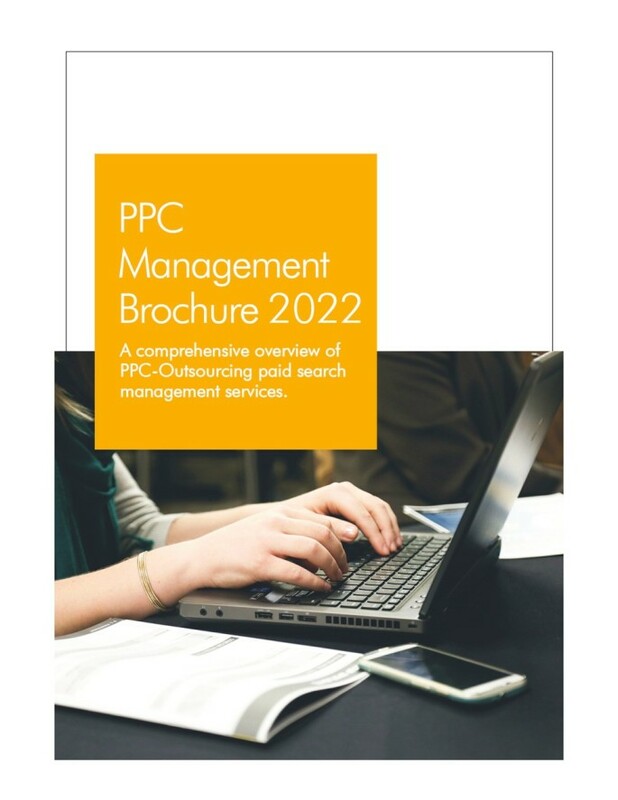 Auditing your PPC account will help you improve your click through rate, reduce losses and get an increased ROI on your digital marketing campaign. Hiring a PPC expert for getting comprehensive PPC audit services or outsourcing it to a reputed digital marketing agency is a great way to audit your PPC account. The expert will check all the factors thoroughly and will provide you the report that will help you make the much-needed changes in your PPC account. This will help you increase your bottom line and make the most of your expenses in digital marketing of your products and services. 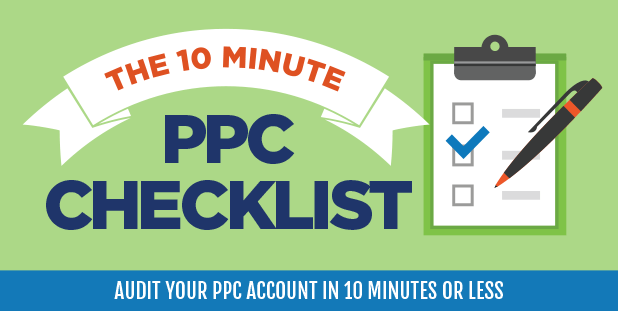 Do you know that you can audit your PPC account in 10 minutes or less by following a proven method and taking into account six important points? The setting of your PPC account is one thing that you take care of when you start your PPC campaign and simply forget about it. 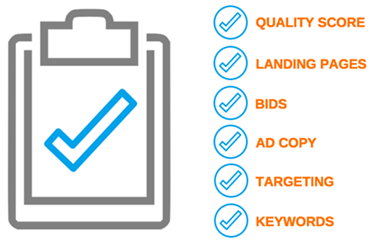 The auditing expert will ensure whether the PPC campaign target Ads through Search and Display network as well as device bid modifier, ad delivery method, ad rotation , location/language targeting, and ad scheduling. Changes in modifiers at times boost the performance of your PPC campaign results. You should check the naming and segmentation of your campaign and ensure that the ad groups, ads and keywords are all relevant to the campaign. You can select 3-5 ad groups for each campaigns such that they are easily manageable. This would facilitate you target your prospects with tightly themed keywords and get the maximum traffic to your site. Relevant keywords are an important factor to check out in all PPC campaign audit programs as they attract the prospects and help online visitors get their desired products and services. You can keep irrelevant traffic out of the access of your site by including negative keywords in your list and set the bids according to the popularity and performance of the keywords. Ad groups should be set up according to the general or specific product categories as your campaigns. You can include a maximum of 20 keywords in an ad group that will be at least not too difficult for ad copywriters to include and match the terms in their ad copy. Ads play a very important role in the success of a PPC campaign. You should check that the ads convey the right message and make an appeal to the buyers. You can perform an ad test to check its effectiveness and ensure that it is grammatically correct and provides information about the latest price and offers. Quality score is an important factor that determines ad rank and signifies the relevance of your ads, keywords and landing pages with respect to users’ search queries. You can check few reports and get an average quality score that will help you make relevant changes and improve it. A quick review and audit of your PPC account would help you maintain a healthy PPC account that would facilitate you realize your target and increase your bottom line.